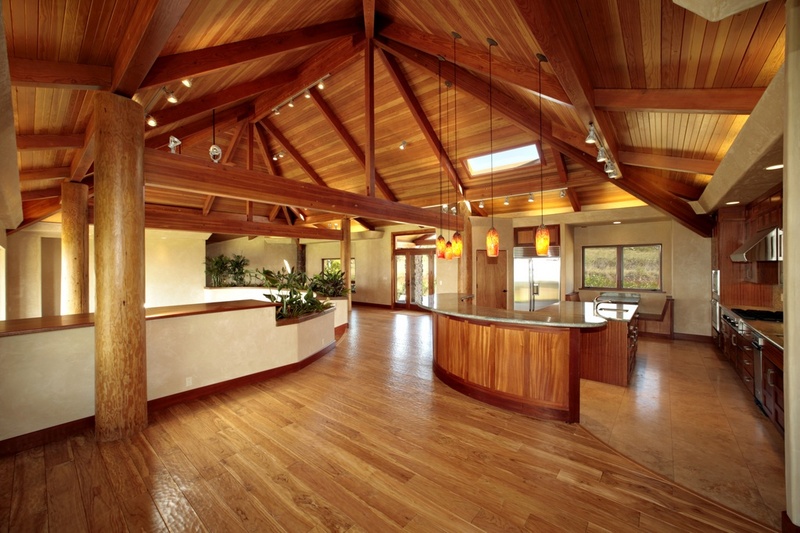 This 6,000 square foot house, which is located in an agricultural subdivision in Lower Kula, was a great challenge for our carpenters. 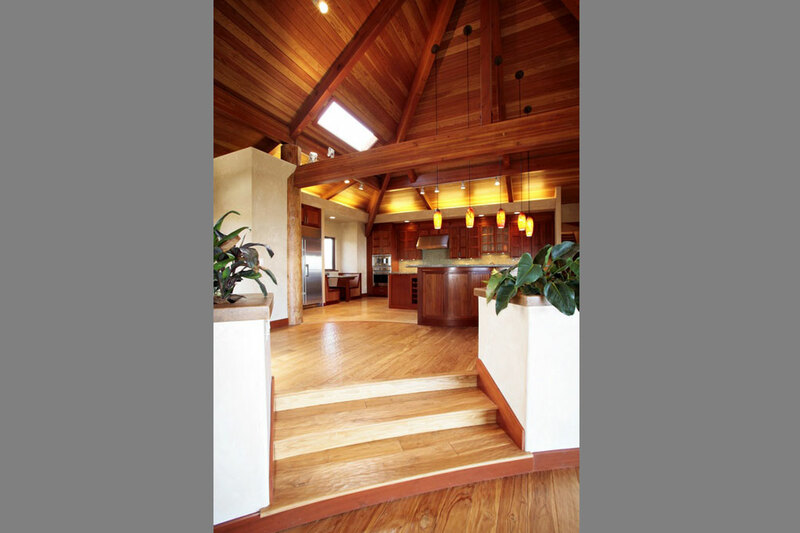 It has an all open beam roof form with many large beams, and miles of tongue and groove vertical grain fir for the ceilings. 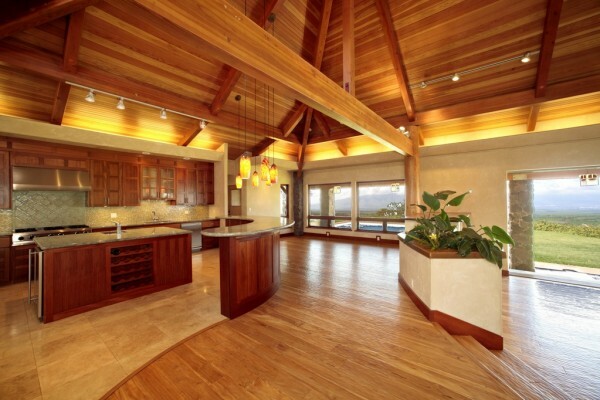 As you can see from the photos, the great room is huge and the ceilings are very high. 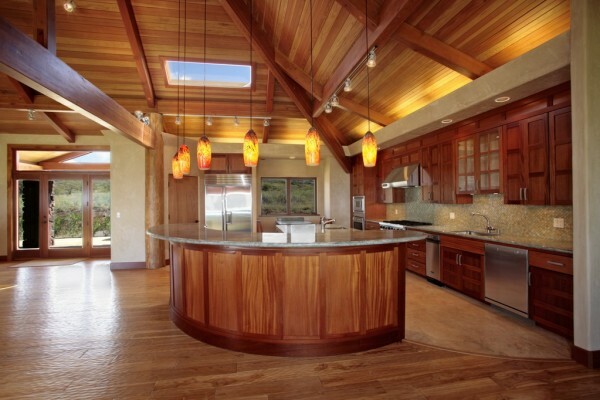 The open kitchen is a chef’s dream, with a custom curved island as the centerpiece. 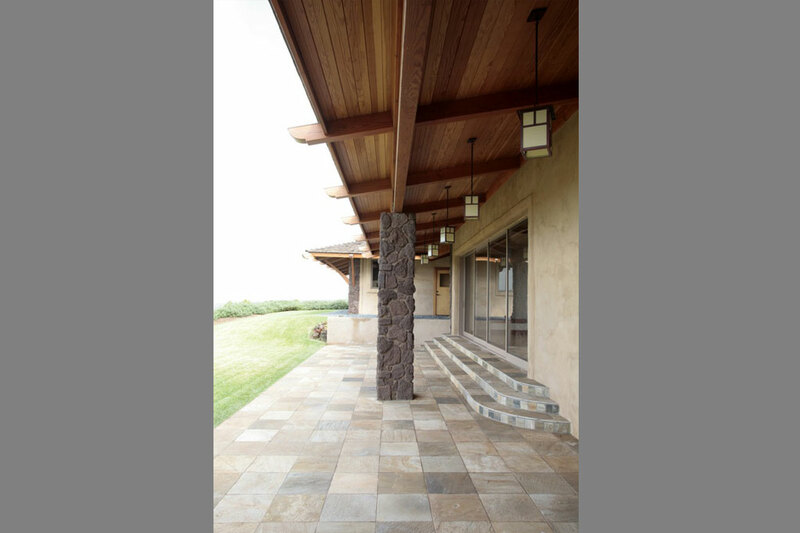 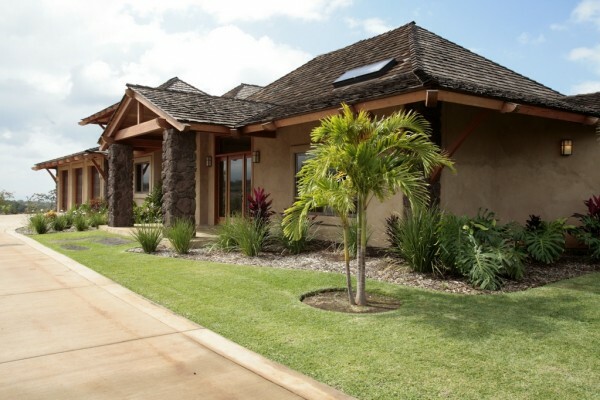 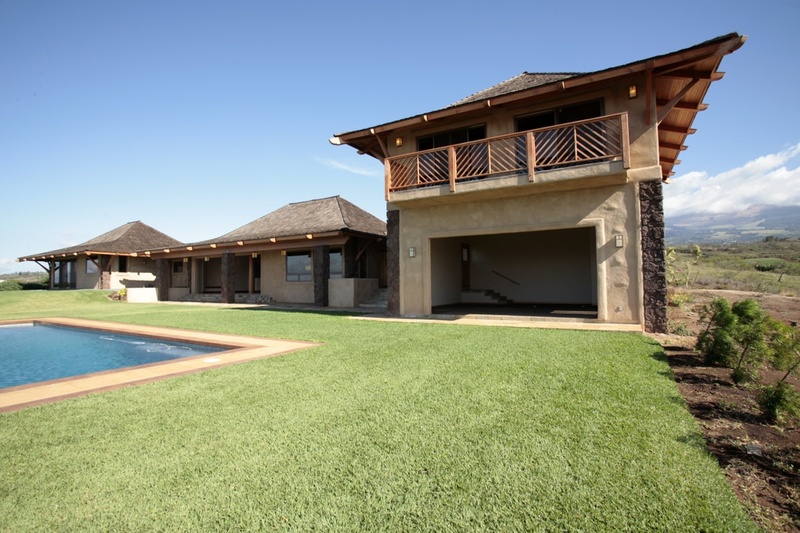 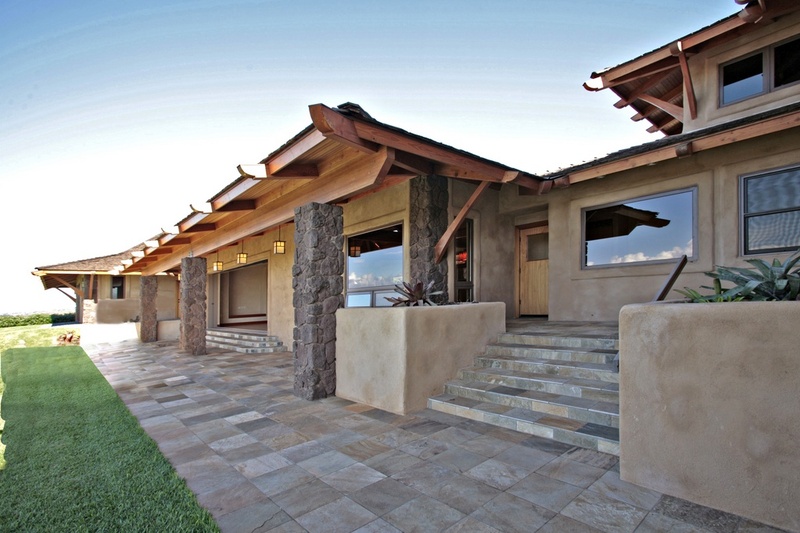 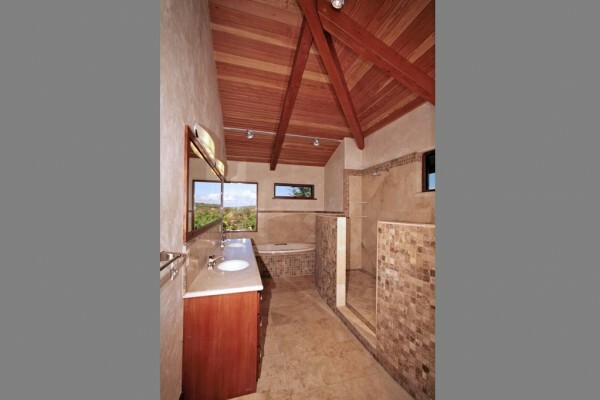 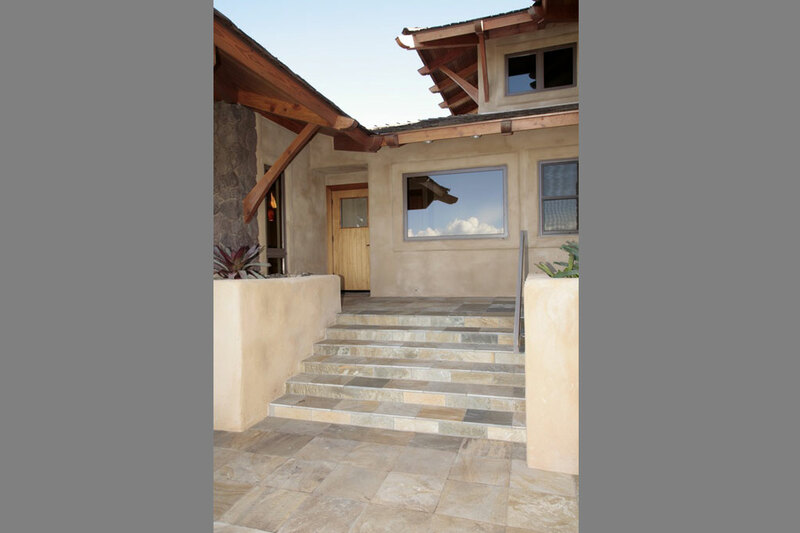 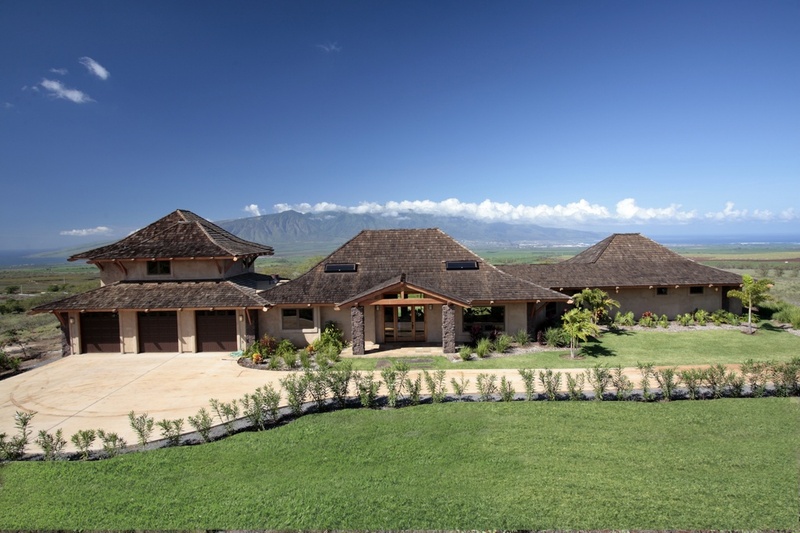 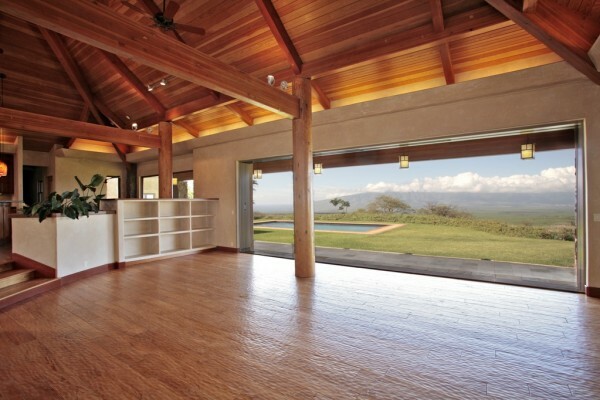 This was a remarkable project with amazing panoramic views of Haleakala, the entire Central Valley, the West Maui Mountains and the Pacific.